With cryptocurrencies constantly popping up in various news articles and blog posts, every day more and more people find out and develop an interest in the crypto world. Ethereum is probably one of the most popular crypto coins out there, with the only Bitcoin taking the lead in notoriety. In this guide, I’m going to tell you all about how to mine Ethereum on Windows – the hardware, the software and everything in between. Since most people who are thinking about crypto mining are probably using Windows 10, this version of the operating system will be the main one we’ll talk about. I’ll tell you about the best programs you can use, how to decide on hardware, what you’ll need and how to manage your expectations. Before the start, you should also check this Ethereum mining guide to get the general idea about different ways on how to mine Ethereum. So, without further ado, let’s dive straight into it. 5 Mining Ethereum – An Alternative? Let’s take it from the top – why would anyone want to mine Ethereum in the first place? Well, there are actually a couple of reasons why people are looking on how to mine Ethereum on Windows. Ethereum is very popular and widely accepted. It is still far off when it comes to the recognition of Bitcoin, but it’s getting there. 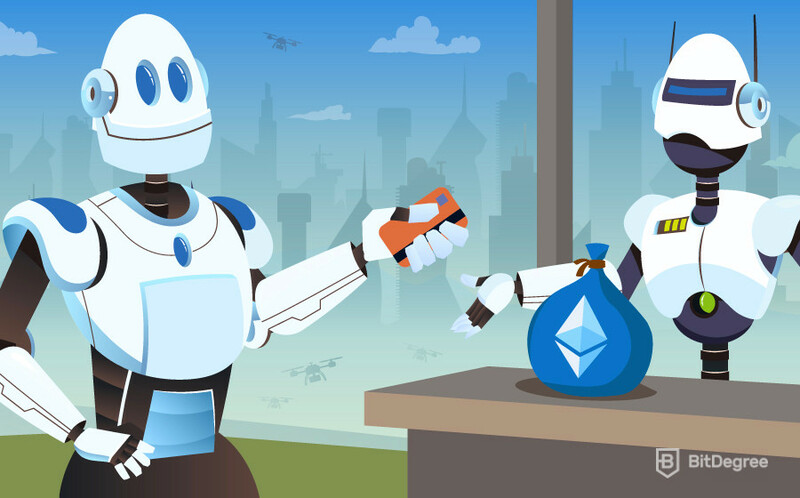 With all of this mainstream success, it’s just natural that a lot of possible investors and crypto enthusiasts would turn their sights towards Ethereum. It is important to acknowledge that even with the huge dive that the cryptocurrency market has taken since the beginning of 2018, Ethereum has still managed to hold its ground as one of the top leading cryptos. People appreciate Ethereum for its stability and the network that it’s based upon. Apart from the long-term investors, there are a lot of people who buy Ethereum simply hoping to make a quick profit flipping it as soon as the price starts rising again. This, of course, could bring someone big profits really fast, but more often than not it tends to fail. This is due to the fact that the crypto market is a very unpredictable place and requires a lot of research and expectation management. Due to these and some other reasons, people often want to know how to mine Ethereum on Windows 10 or about the best Ethereum miner for Windows 10. If you want to mine Ethereum on Windows 10, you’ll have a couple of choices when it comes to hardware. The first and most common choice on how to mine Ethereum on Windows would be GPU miners. With a proper version of Windows installed, these mining rigs tend to be the go-to choice for most people who want to get into crypto mining and are willing to invest some money in the beginning. GPU mining is popular simply because it’s effective. This type of mining utilizes graphics cards (or, rather, their GPUs) to generate Ethereum over long periods of time. The more and better cards you use, the bigger the profit you can expect will be. The downside of this, however, is that good and effective GPU miners tend to be really costly. The GPUs themselves make up the biggest part of the cost, but you shouldn’t forget about the motherboard, power supply, cooling, electricity, etc. You could mine Ethereum on Windows 10 using the CPU option of hardware, but this usually isn’t advised. The simplest and most basic reason for why that’s the case is that CPU mining will most often drive you into bankruptcy. The Ethereum that CPUs would generate would seem non-existent when compared to the electricity and cooling prices that would be required. Why is CPU mining still even a thing, then? Well, simply because of its availability. If you’re someone who wants to know how to mine Ethereum on Windows but isn’t willing to invest a dime when it comes to hardware, CPU mining is one of the only options available to you. 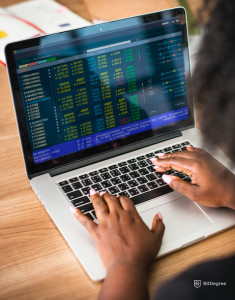 Depending on your computer and its parameters, you could generate some profit or you might break even – but the most common scenario is a negative income month on end. How to mine Ethereum on Windows? Well, ASIC Ethereum mining is probably the most profitable option available on the market right now. If you’re looking to mine Ethereum on Windows 10, ASICs might be the way to go. 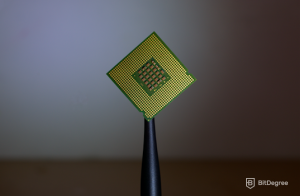 ASICs (Application-Specific Integrated Circuits) are special devices designed for a specific purpose – in this case, the purpose is to mine cryptocurrencies. ASICs beat their competitors in most areas of the matter – they aren’t difficult to set up, require little to no maintenance or repair work and are generally easy to use. They are, however, quite costly – but this is compensated by the fact that they’re super effective. ASICs do have their downsides, however. When thinking about how to mine Ethereum on Windows 10 with the use of ASICs, you might soon realize that these devices are usually very difficult to come across. As soon as they are stocked into online marketplaces or shops, people swipe them right off. It’s as if these people were refreshing the page every few minutes for days on end, simply to be the lucky one to grab an ASIC. The other major issue with ASICs is actually somewhat of a recent one. GPU-using miners are ready to boycott and “go on strike” because they feel that ASICs have made it unfair when it comes to Ethereum mining. This has been an ongoing issue, but it has recently been announced that a brand new line of ASICs is almost ready to be launched. In the announcement, it was specifically underlined that these new ASICs are six times stronger and more effective than their predecessors. This news rallied up the Ethereum community – many claims that such devices bring imbalance to the market and cause chaos among the GPU mining community. If the boycott and the strikes work, it is difficult to predict what will happen to ASIC-based Ethereum mining. The community urges that the creators of Ethereum would take action – it’s hard to imagine what actions – if any – are going to be taken, though. If you’re thinking about ASICs as the preferred hardware when it comes to Ethereum miners for Windows 10, it would be wise to study the news and do some research before actually going out and investing in one of these devices. Sure, they are very powerful and super effective (which usually translates into awesome profits), but this might actually be the reasons for their demise. Now that we’ve covered the hardware, let’s turn towards software. After all, having an Ethereum miner for Windows 10 is kind of useless if you don’t have a good and trustworthy program to back it up. If you’re using a PC, the very first thing that you’ll need to do is to download and install is a program called Geth. Geth acts like a medium between your computer (its hardware) and the Ethereum network. You can think of it as if it were a dog on a leash – the dog being Ethereum data blocks, the spike that holds the leash represents your PC and the leash itself is Geth. After you’ve installed and configured Geth, now you can move on to the software itself. If you’re using a GPU mining rig, CGminer is your best bet when it comes to software. It’s an easy to use mining program with the basic set of functions. What makes it good is that it’s really well optimized when compared to other GPU mining programs. As a software for GPU-based Ethereum miners for Windows 10, CGminer doesn’t tend to crash or cause many errors. People who use the CPU mining method say that the best mining software for CPUs is CPUminer. It’s easy to use, works well and simply has the best parameters. However, as a general notice, it is not advised to try and mine Ethereum on a laptop – this is a great way to overheat and break your device down completely. ASICs have a few options to choose from when it comes to Ethereum mining softwares, but the most common one would probably be Easy Miner. This software offers good compatibility, is easy to use and has pretty decent mining parameters. When thinking about how to mine Ethereum on Windows, software becomes an important aspect. Choosing the right software could be the deciding factor between you making a great profit and losing everything altogether. A few good rules of thumb when choosing a program should be its security, mining speed, availability of technical and other support and its payment system. These key aspects should be the ones that you focus on the most when looking into how to mine Ethereum on Windows. So just to recap – we’ve covered the hardware with all of its pros and cons, talked about the best software to use and some of its compatibility aspects… But how to mine Ethereum on Windows? Let’s say that at this point you’ve already chosen your preferred hardware and software. Depending on your picks, you might have a few of the best GPU rigs installed, or you’ve just downloaded Geth on your PC. Whatever the case might be, we can now move on to the mining process itself. How to mine Ethereum on Windows if you’re using the GPU mining method? Well, things are actually a lot simpler than you might think. Before you set up your rig, choose a good spot. Your best bet would be to aim somewhere that’s quite cool (as in – cold, but I’m-a-cryptocurrency-entrepreneur kind of cool works too) and spacious. If you reach the point where you want to keep on investing into mining rigs and perhaps eventually even building your own farm, you would want a place that is spacious, has good cooling, ventilation, and low electricity costs. Once you’ve settled in with your hardware and software installed, all that’s left to do is to fire the machinery up and see what happens! GPU Ethereum mining is a pretty straightforward process – the rigs simply do their own things and you just watch the numbers rise. The hard part is the maintenance – you have to constantly be on the lookout for various possible problems and malfunctions. Although, if you’ve set everything the way it’s supposed to be, you shouldn’t encounter any problems at all. How to mine Ethereum on Windows 10 whilst using the CPU mining method? CPU mining is simple in the sense that everything is just a click of a mouse button away. You can manage your software in accordance with your own personal needs. It is often advised, however, that you should mine only when your computer is idle. Certain Ethereum mining softwares have inbuilt functions that allow you to set the mining mode to “idle” as a default preference. Once you’ve figured out the software, all that’s left to do is to manage your machine so it wouldn’t overheat. Oh, and do keep in mind the electricity prices so as to not get a heart attack at the end of the month when the bill arrives. How to mine Ethereum on Windows using ASICs? It actually isn’t all that special. 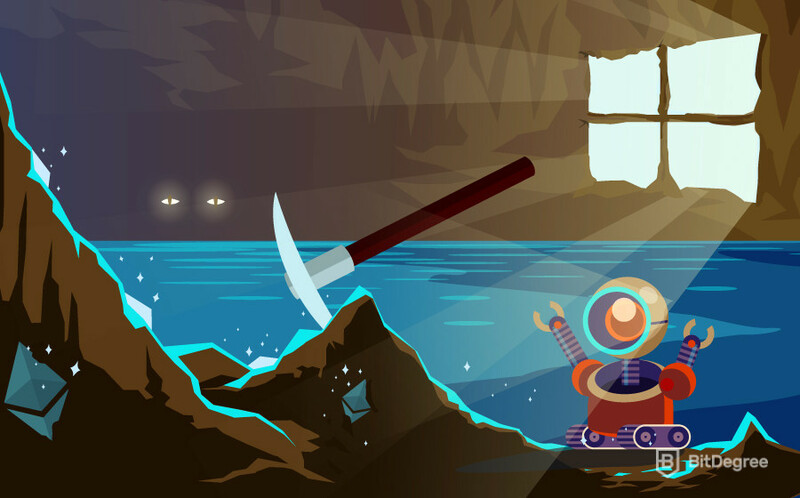 ASIC mining is very similar to the GPU crypto mining method – you simply setup your machinery and watch it go. What’s good about ASICs is that they require relatively low maintenance. You shouldn’t encounter many (if any) problems throughout the mining process if you’re using an ASIC. However, ASICs are not advised for beginner miners. The reasoning behind this is very simple – these devices are very expensive and hard to come by, while also maintaining a requirement of at least a little amount of knowledge when it comes to cryptocurrency mining. If you’re still not certain about becoming a full-time Ethereum miner, acquiring an ASIC could be too much of a challenge that’s simply not worth the struggle. Mining Ethereum – An Alternative? So you’ve been thinking about how to mine Ethereum on Windows… And you simply can’t come to a consensus on whether it’s worth it or not. Well, you’re in luck – there is another way. Have you ever heard about cloud mining? It’s a service where a host of a farm (a person who has a lot of (usually) GPU mining rigs) offers you a service where you simply rent out his mining rigs. You would usually pay the host an initial fee and the simply sit back and relax – he would take care of the rest. You would probably receive payouts every month, depending on the contract. This has become quite a popular method when it comes to cryptocurrency mining. These hosts are often huge and professional companies, which adds legitimacy to the whole deal. Cloud mining is cool because it eliminates the ever-burning question “how to mine Ethereum on Windows?” from your head. However, if you’re someone that’s keen on doing everything yourself, cloud mining might not be suitable for you. Now you know about all of the different choices available when thinking about how to mine Ethereum on Windows. Remember – hardware and software are the key aspects in any successful crypto miner’s careers. Always decide on your initial budget first – that’ll allow you to get a broad picture of just which methods of mining are possible for you and which are out of the question. Do your research, manage your Ethereum mining processes and you’ll be an expert miner in no time!